As we mentioned in our last post, the expectations and standards of employee wellness are changing. What was once seen as a program implemented to merely help with health claims containment is now becoming an essential and expected part of a benefits package. In an effort to meet these expectations and make wellness programs more holistic and total well-being focused, companies are now enlisting the services of wellness coaches. 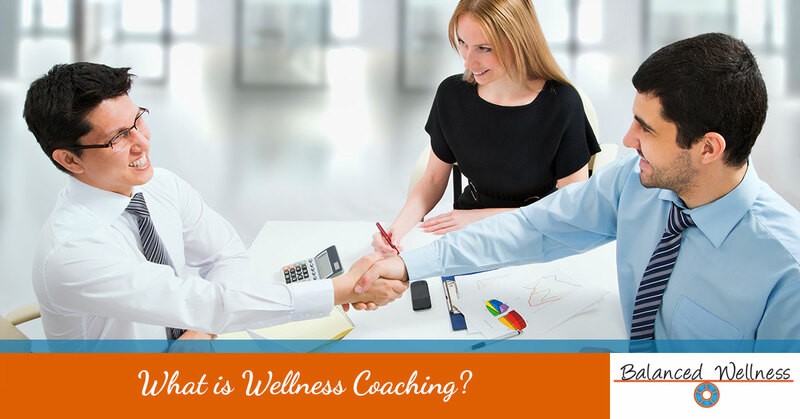 So What Exactly Is a Wellness Coach? In short, wellness coaches are certified health experts who are committed to helping people achieve their optimal well-being. In the case of corporate wellness programs, coaches work with employees on an individual basis to assess overall health and tailor a sustainable health plan that will yield—potentially life-saving—results. In the U.S. chronic diseases are the leading cause of death and disability, and account for 86% of all medical claims. This not only means that employers are losing billions of dollars—as a result of absenteeism, productivity lapses, and direct medical costs—but it also signals a general decline in the overall well-being of our country’s citizens. What makes this issue all the more concerning is the fact that many of these chronic diseases could be prevented, delayed, or alleviated through lifestyle changes. In fact, according to this study by the Partnership to Fight Chronic Disease, if Americans were to eliminate three risk factors—poor diet, smoking, and inactivity—we could prevent 80% of heart disease and strokes; 80% of type two diabetes; and 40% of cancer. Though we can’t speak for all wellness coaches, at Balanced Wellness, our health coaches are passionate about addressing this need and being a part of the solution. Through a comprehensive wellness program, our coaches leverage their passion, experience, resources, and expertise to develop a realistic action plan to help each individual become their very best self. An honest, informative, and compassionate assessment of your overall health. Help identifying obstacles, road blocks, motivators, values, and a sustainable strategy for success. Clear and simplified communication that helps you understand your wellness and your individual strategy. Genuine encouragement and support that helps build confidence in your ability to achieve and maintain optimal wellness. Flexible opportunities for coaching sessions (we conduct sessions in person or via video, telephone, or messaging platforms). A supportive coach who will hold you accountable to your goals and get you into the habit of thinking critically about your health. In addition to all of the above, at Balanced Wellness, we also utilize a versatile, user-friendly software that functions as an interactive wellness portal. This allows users to log food, plan meals, and check nutritional information. It also functions as an exercise planner and syncs with fitness trackers—Fitbit, Garmin, etc.—to allow users to monitor their individual activity. Not only is this a great resource for users, but it is also a key tool for wellness coaches—it allows them to measure efficacy, adjust as needed, and ultimately help each individual achieve better health. If you are ready to take your corporate wellness program to the next level and build a culture of caring at your company, contact Balanced Wellness to learn more about wellness coaching.